Some call it an artificial intelligence (AI) revolution. After years of slow but steady progress on making computers “smarter” at everyday tasks, a series of breakthroughs in the research community and industry recently spurred momentum and investment in the development of AI. In the U.S., there are at least 1,500 start-ups processing languages, identifying images, filtering ads for solicitation, detecting flaws in security systems, offering real-time analytics for finance professionals, and analyzing data for e-commerce brokers. Healthcare and advertisement are the most common areas in the AI industry, followed by business intelligence, security, finance, the internet of things (IoT), wearables, education, customer relationships management, e-commerce, and robotics. In healthcare, the President’s Precision Medicine Initiative will rely on AI to find patterns in medical data and, ultimately, to help doctors diagnose diseases and suggest treatments to improve patient care and health outcomes. In education, AI has the potential to help teachers customize instruction for each student’s needs. Start-ups and larger companies around the nation are constantly engaged in Research and Development efforts aimed at solving these and similar challenges. When they create code, develop algorithms, troubleshoot software, and perform technical experiments, they may be eligible for federal and state Research and Development Tax Credits which are available to stimulate innovation. On December 18, 2015 President Obama signed the bill making the R&D Tax Credit permanent. Beginning in 2016, the R&D credit can be used to offset Alternative Minimum tax and start-up businesses can utilize the credit against $250,000 per year in payroll taxes. With the new legislation and given the technical nature of AI, almost all AI start-ups will be eligible for the credit. Figure 1 below shows the potential value of R&D tax credits across an estimated 1,500 nationwide AI start-ups. As shown in the chart, it is typical for each technical employee to generate around $4,800 in R&D tax credits. 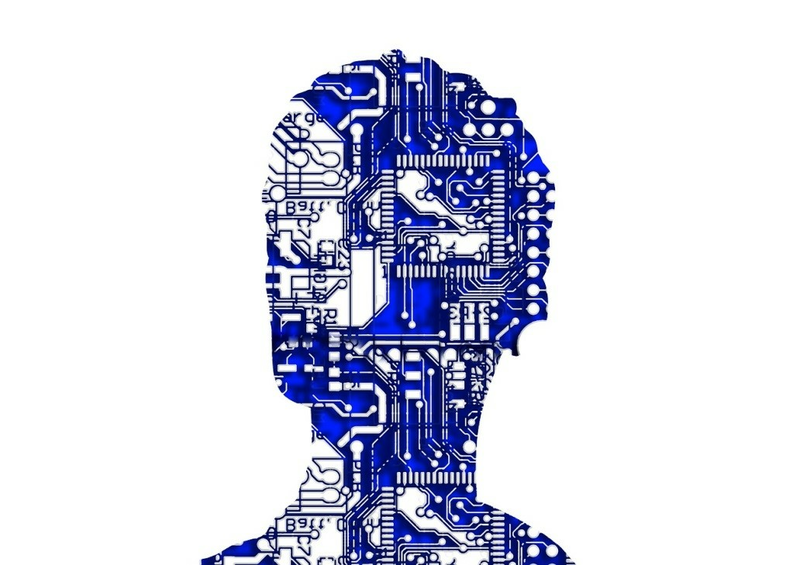 Artificial intelligence technology is being used in a number of applications. start-ups use machine learning and data mining techniques to process different data that can be used to manage money, connect people with similar interests, identify faces, and much more. Online advertisers use it to intelligently market to customers. E-commerce and technology companies, such as Braintree Solutions LLC (in Chicago), use machine learning in conjunction with other tools to prevent credit card fraud. Also, e-mail providers use machine learning algorithms to identify spam. Cutting-edge start-ups are increasingly finding novel ways to apply machine learning tools to solve problems across different industries. Some of these start-ups and machine learning applications they are developing are outlined in this article. 6Sense Insights Inc., located in San Francisco, California, provides a predictive intelligence platform that helps B2B marketing and sales leaders identify market prospects based on data science and time-sensitive intelligence. Their software provides insight into who is in the market to buy, what products they are buying, when they will buy, and where they are in the buyer’s journey. Sentient Technologies Holdings Limited is a San Francisco-based intelligent Systems Company focused on building unique intelligent capabilities in deep learning to solve real-world problems in industries such as e-commerce and healthcare. Ayasdi, Inc. in Palo Alto, California is an advanced analytics company that offers a machine intelligence platform and intelligent applications to Global 500 corporations, governments, and scientific research institutions around the world. Clients use the Ayasdi platform to solve their big data and complex data analytics challenges and to automate formerly manual processes using their own unique data. The secret behind Ayasdi's machine intelligence platform is Topological Data Analysis (TDA). The company describes TDA as the most powerful technique developed for advanced analytics of big and complex data. Botanic LLC in Emeryville, California designs and builds products that are capable of understanding and responding to human speech (not just text or words without context). People’s actions are better predicted in the context of their feelings and attitudes than through text alone. Botanic machines capture a user’s tone of voice, facial expression, body language, and nuances in word choice. Botanic characters use speech and animation to provide contextually and emotionally appropriate responses to human input. Vicarious FPC, Inc., based in Menlo Park, California, develops artificial intelligence algorithms that mimic the human brain. Currently, they are focused on visual perception problems, such as recognition, segmentation, and scene parsing. The company is interested in general solutions that work well across multiple sensory domains and tasks. H2O.ai in Mountain View, California operationalizes data science by developing and deploying algorithms and models. Some of H2O’s mission critical applications include predictive maintenance, operational intelligence, security, fraud, auditing, churn, credit scoring, user based insurance, predicting sepsis, ICU monitoring, and more in over 5,000 organizations. Viv Labs, Inc. in San Jose, California develops an artificial intelligence interface that enables users to interact with devices, services, and other platforms for individuals. The AI platform enables developers to distribute products through an intelligent, conversational interface. Infer Inc. is a Mountain View, California-based company that delivers data-powered business applications that help companies gain more customers. Its cloud-based solutions leverage proven data science to rapidly model untapped data sitting in enterprises, along with hundreds of external signals from the web. MindMeld Inc. is a San Francisco-based company that powers a new generation of intelligent conversational interfaces. After 3 years of technological development and 10 patents, MindMeld launched its core offering, the MindMeld platform, in 2014. MindMeld is the first platform that makes it possible for companies to create intelligent, conversational interfaces for any app or device. MindMeld has been widely recognized as a leader in the field of natural language understanding and was named by MIT Technology Review as one of the world's "50 Smartest Companies" in 2014. Mintigo Inc. is a San Mateo, California-based company that provides cloud-based predictive marketing platform for marketers. The company also offers predictive lead scoring models to identify sales-ready leads or potential buyers and predictive lead scoring and data enrichment. Skytree Inc. in San Jose, California is a leading enterprise-grade machine learning platform for big data. The technology allows users to leverage investments in big data by installing on existing infrastructure and implementing a platform that includes data preparation, automated machine learning model building, and easy model deployment. Sense.ly is Inc. is a San Francisco-based healthcare start-up that helps doctors reach patients through bots and sensors. Typically utilizing smartphones, this maximizes time and minimizes dollars, all while optimizing patient health. Its solutions help keep medical patients engaged as they communicate their symptoms, medical history, and recovery progress on mobile phones. Anki is a San Francisco, California-based company that builds on decades of scientific research to make AI accessible to everyone. Cloudminds is a Santa Clara, California-based AI company that uses a cloud-enabled intelligence engine and a network of mobile sensors to enable intelligent cloud robots. Preferred Networks Inc. is a San Mateo, California-based AI company that develops deep learning technology that perceives, integrates, understands, and analyzes diverse types of sensor data at levels beyond human abilities. Scaled Inference, Inc. is a Palo Alto, California-based AI company that uses AI as a cloud service to enable a new generation of intelligent software built by the masses and powered by an open shared platform. Inbenta Technologies Inc. in San Francisco, California provides natural language processing and semantic search services. The company offers support services such as dynamic FAQs, knowledge management, virtual assistance, business website searches, e-commerce conversions, and customer self-service. StatMuse Inc. develops and markets a cloud-based platform to analyze sports statistics. This San Francisco start-up allows users to search for sports facts and statistics through ordinary “natural” language. Entefy Inc. is a Palo Alto, California-based start-up that provides communication and digital interaction solutions. They offer a Universal Interaction Engine—a context-aware message and data delivery technology platform that provides access to various conversations and connections across smart devices. Jolata, Inc., in San Francisco, California is a real-time big data analytics software company that helps large network operators visualize and optimize their global networks. Fuse Machines Inc. is a NYC-based start-up that helps inside sales teams sell more by applying AI, natural language processing, and Machine Learning. Persado Inc. is a NYC-based AI company that develops a cognitive content platform—a smart system that combines natural language processing and machine learning technologies to machine generate precise words, phrases, and images that inspire any given audience to act every time. X.ai Inc. in NYC builds and operates an AI personal assistant that schedules meetings using email for business customers. Wade & Wendy Inc. is a NYC-based AI powered platform for the recruiting space. Wade is an AI career assistant, helping people navigate their careers and discreetly learn about new job opportunities. Eclipse Market Solutions LLC is a NYC-based AI start-up that provides customized services to help clients simplify trading. They offer trading software solutions, risk management consulting, strategy analysis, position evaluation, and financial modeling. Intelligent Artifacts, LLC is a NYC-based AI start-up that provides a cloud-based or on-premises environment for quickly creating and deploying machine intelligence. The company guides their customers, helping them integrate or embed their technology in their products and services. Digital Genius Limited is a NYC-based AI company that brings practical applications of artificial intelligence into the customer service operations of global companies. Its Human+AI Customer Service Platform combines the best of human intellect and AI, enabling companies to live up to and exceed rising consumer expectations. Flatiron Health Inc. is a NYC-based AI company that organizes the world’s oncology information and makes it useful for patients, physicians, life science companies, and researchers. Their technology connects community practices and cancer centers on a common technology infrastructure to address key healthcare challenges. Their goal is to power a national benchmarking and research network to transform how cancer care is delivered. AI Cure Technologies, LLC in NYC uses AI in mobile devices to confirm medication ingestion in clinical trials and high-risk population. AskTina is a NYC-based AI company that develops technology to significantly reduce the amount of time an entrepreneur spends recruiting and managing virtual assistants. Hyperscience is a NYC-based AI start-up that builds general purpose AI platforms for other developers to easily build machine learning applications. Mobile ROI is a NYC-based AI start-up that develops marketing automation software to contextually engage, educate, reward, and delight at every touch point along the customer journey. Customer Matrix Inc. is a NYC-based AI company that brings the power of cognitive computing to organizations. Its technology serves on the front line of sales and customer service excellence. It is ideal for converting up-selling, cross-selling, and churn risk reduction in today's competitive markets. DataRobot is a Boston, Massachusetts-based AI company that develops data science and machine learning platforms for business analysts, expert data scientists, software engineers, and IT/Data professionals. MIT-spinoff, Affectiva Inc., is a Waltham, Massachusetts-based company that offers emotion recognition technology based on patented science that uses deep learning. As of this writing, the technology analyzed over 4.5 million faces, comprising of the world’s largest emotion data repository. This helps Affectiva to derive unique insights with high accuracy. Nara Logics Inc. in Boston, Massachusetts is a “synaptic intelligence” company. Synaptic intelligence is a branch of AI that combines neuroscience and computer science. The companies’ synaptic intelligence is a solution to make context-sensitive adjustments to recommendations in order to help companies make smarter decisions. Automated Insights Inc. is a Durham, North Carolina-based company that automates and expands the production of content and communicates it in ways never before possible. They offer the only open Natural Language Generation API. By leveraging speed and scalability, users can deliver personalized content instantly to millions of people, each one uniquely tailored to the reader. Magic Leap Inc. is a Miami, Florida-based AI start-up that is working on a head-mounted virtual retinal display. This superimposes 3D computer-generated imagery over real world objects by projecting a digital light field into the user's eye. Cylance Inc. in Miami, Florida is one of the fastest growing companies in the history of cybersecurity. The company applies AI and machine learning to crack the DNA of malware. Albsbridge, Inc. is a Miami, Florida-based AI start-up that uses AI technology to source relationships and client advocacy. Care Angel Inc. is a Miami, Florida-based AI start-up that develops a remote monitoring and data analytics platform to help caregivers and seniors live as best a life as possible. Ozlo is a Seattle, Washington-based personal AI machine that makes finding information from smart phones faster and easier. Tijee Corporation is a Seattle, Washington-based AI start-up that builds cutting edge solutions for the next generation of smart home systems. With the technology, homes can interact with their owners in an intelligent way. Cyntient Inc. is a Seattle-based software development company whose innovative AI solution opens the door to create a gaming experience enlivened by virtual characters that analyze, react to, and learn from their environment, each other, and the player's behavior. The Allen Institute for Artificial Intelligence is a research institute funded by Microsoft co-founder Paul Allen to achieve scientific breakthroughs. They construct AI systems with reasoning, learning, and reading capabilities. Some of the ongoing projects at the incubator are listed below. Aristo is a system that acquires and stores a vast amount of knowledge in computable form, then applies this knowledge to answer a variety of science questions from standardized exams for students in multiple grade levels. Semantic Scholar leverages AI expertise to help researchers find the most relevant information efficiently. The technology utilizes methods from data mining, Natural-Language Processing, and computer vision to create powerful new search and discovery experiences. Euclid is AI technology designed to solve math problems, specifically in geometry. One application being developed is GeoS—an end-to-end system that solves high school geometry questions. Its input is question text in natural language and diagram in raster graphics, and its output is the answer to the question. Digital Reasoning Systems, Inc. is a Franklin, Tennessee-based cognitive computing company that offers services to intelligence agencies and financial institutions in the United States. At Digital Reasoning Systems, Inc, engineers create technology that learns and gets smarter with the goal of helping humans see the world more clearly to solve some of the most difficult worldly problems. All the previously mentioned start-ups work to solve technological challenges in the AI industry. Although improvements in computing power and big data analysis have opened the door for major innovations in the field of AI, such advancements also gave rise to the concern of extraneous information or “noise,” distorting the accuracy of predictive models. Developing and refining algorithms is another technological challenge. Engineers and computer scientists routinely experiment with different algorithm sets in order to flush out meaningful results from noise. The goal is to flush out the types of algorithms and dataset combinations that are good at picking out the structure of the problem so they can be studied in more detail with focused experiments. Those top performing algorithms are then refined to be more efficient, a process known as algorithm tuning. Another issue common to the industry is the slow process involved with the data modeling stage. This stage requires data scientists to iterate multiple data models and run them against historical datasets to identify the most accurate predictive models. But the process is so slow that computer scientists often spend downtime by exercising, napping or leaving the office. Artificial intelligence (AI) is a quickly emerging technology. Advancements in this field can solve a number of technological challenges. Engineers and computer scientists are constantly making developments within this sector. start-ups and established companies may be eligible for federal and state Research and Development (R&D) tax credits which are available to stimulate innovation.